The moon was HUGE and pretty this evening. I don't know if it was full, but if it wasn't it will be soon. 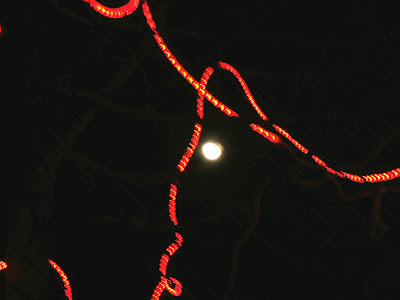 This is the moon hiding behind a tree that still had some leftover holiday lights.